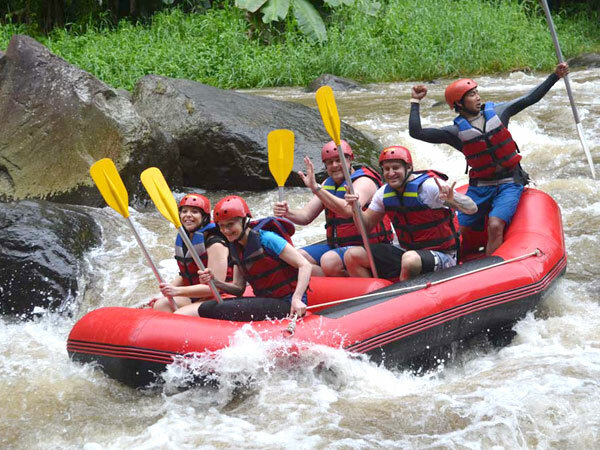 Rafting at Ayung River Ubud become a quite popular attraction in Bali, this rafting adventure tour will take you down the ayung river with trajectory along the 10 km, starting from start point to finish takes about 2 hours on the raft. 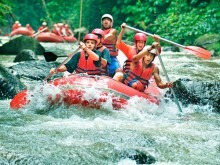 Ayung river Ubud, it has a river difficulty level for rafting in class II - III. 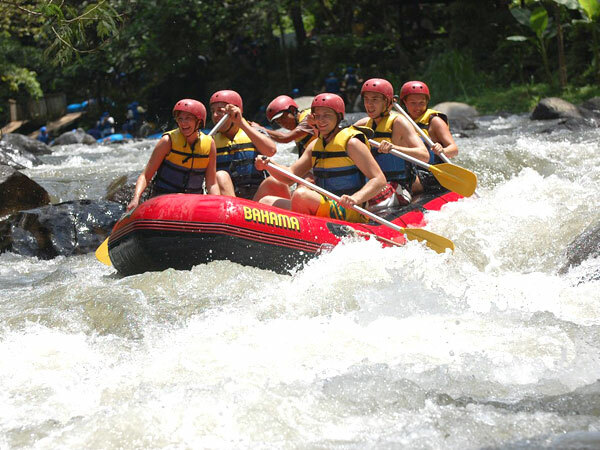 This water sport activity is quite popular, so you are new to Bali or have ever enjoyed rafting in Bali at different places can be in this place with Bahama Rafting Bali. Bahama Rafting Bali at Ayung river Ubud, presenting the natural beauty of the cliffs, the waterfall of the creeks, as well as the Ramayana relief. 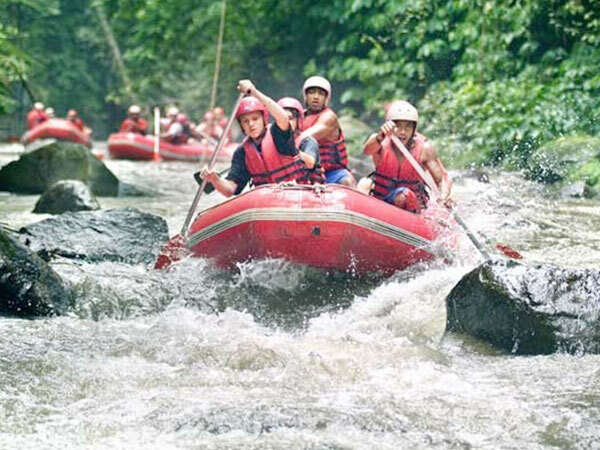 Access to the Ayung river Ubud can be from the east of the river through the path to Payangan or Ubud, and also can from the west through Sangeh as the tourist attraction from the direction of Carang Sari village. 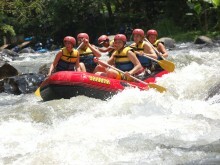 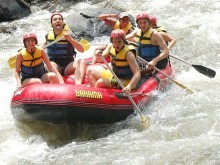 Bahama Rafting Bali itself provides access to the river from the west. 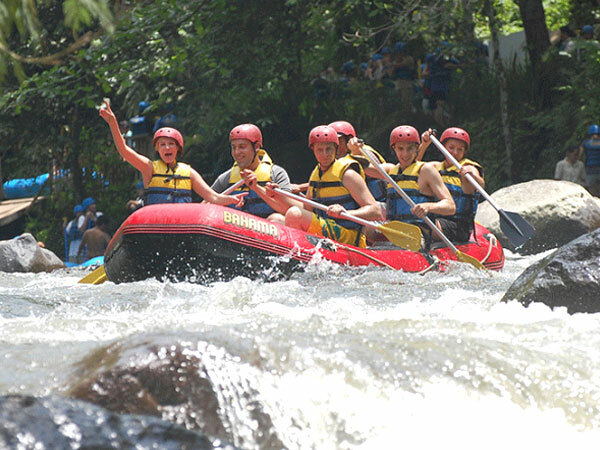 As with access from the East to get to the start point, you have to descend the stairs because of its location at the bottom of the valley. 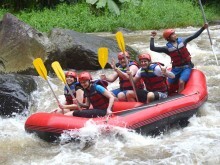 Ayung rafting activities in Bali with Bahama Adventure, you will be accompanied by a friendly crew and experienced. Before the Bahama rafting begins, you will be briefed on how to control a rubber boat safely and comfortably, such as how to hold a pedal, avoid obstacles, through the rapids or bends. 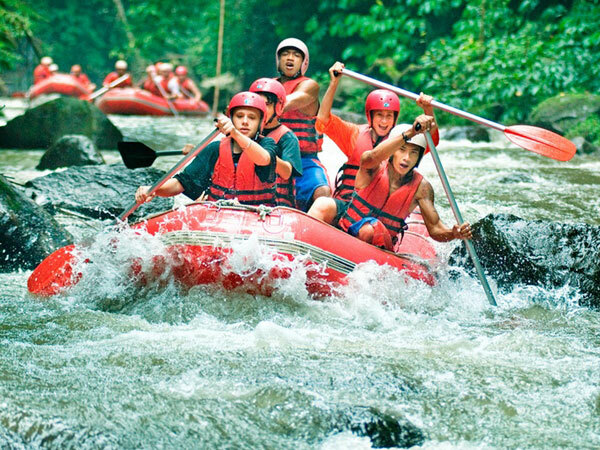 However, you do not need to have special skills, because a guide will accompany you in one boat that can be a counterweight and still provide instructions when needed.